When you get a crack or rock chip in your windshield, some Columbine car glass repair companies will try to sell you on a full windshield replacement. Not SuperGlass! With our advanced resin and superior windshield chip repair techniques, we can eliminate most chips and cracks -- leaving your windshield strong and helping your car keep its value. Best of all, our mobile windshield chip repair brings the technician to your location! 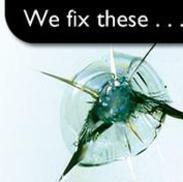 When you call SuperGlass for your Columbine windshield crack repairs, one of our courteous, uniformed technicians will drive to your location and evaluate the crack or chip. Then he or she will use a powerful vacuum to remove any dust or dirt from the crack, after which the crack is filled in with our advanced SuperGlass resin. This resin bonds with the glass to not only repair your windshield cosmetically, but also return it to its full strength. All of our SuperGlass technicians are well-trained in both our windshield repair techniques and also our customer service practices, so they know how to do the job well and their focus is on your complete satisfaction. Let us save you money and time with fast, efficient mobile windshield chip repair in Columbine. Whether you need our services for a fleet of commercial vehicles or for the family minivan, give us a call today!